100% natural and unrefined 1 Lb. 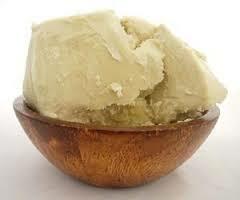 This is our pure shea butter, cold processed with no chemical use whatsoever. Naturally high in unsaponifiable material. I absolutely love this product. Doing daycare, I am constantly washing my hands and they are dry and cracked. I received my order today and within a few uses I could tell the difference. Loved the price too! !